Market launch expected in late-2017. The third generation 2017 Perodua Myvi is in the works which, according to Carlist.my, will go into trial production this July. Perodua is co-developing the third generation Perodua Myvi (codename: Perodua D20N) with Daihatsu. The 2017 Perodua Myvi could have a front-end inspired by the Perodua Bezza. Theophilus Chin's rendering previews the third-gen model. The Toyota Passo and Daihatsu Boon are expected to form the basis of the all-new Perodua Myvi. While retaining the shape and proportions, the new Myvi could have a unique front-end influenced by the company's new design language seen on the Perodua Bezza. 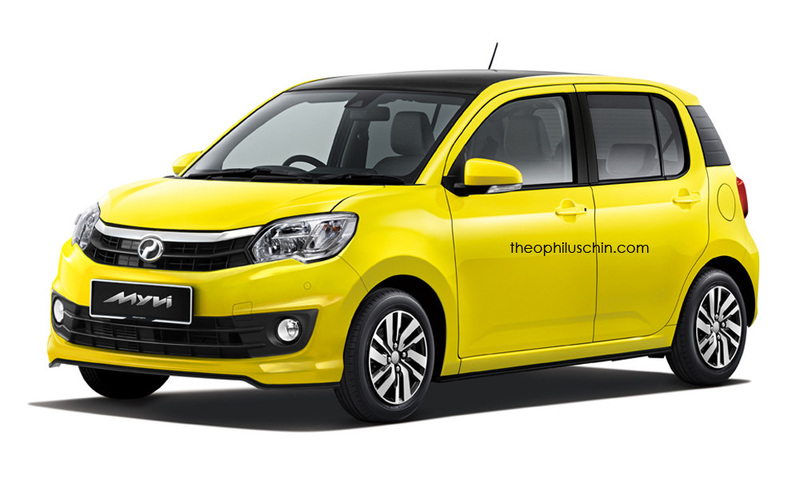 The rendering seen above gives a good idea of the next-gen Perodua Myvi . Inside too, the next Myvi could have a different dashboard and steering wheel, as well as some market-specific changes, like a touchscreen infotainment system borrowed from other Perodua models for instance. Perodua will likely swap the current model's K3-VE 1.3-litre DVVT and 3SZ-VE 1.5-litre DVVT engines with the 1KR-VE 1.0-litre VVT-i and 1NR-VE 1.3-litre Dual VVT-i engines of the Bezza. Transmission choices should include 5-speed manual and 4-speed automatic. The redesigned model will have a plastic fuel tank - a first for a Perodua, which will make the car lighter and more efficient. 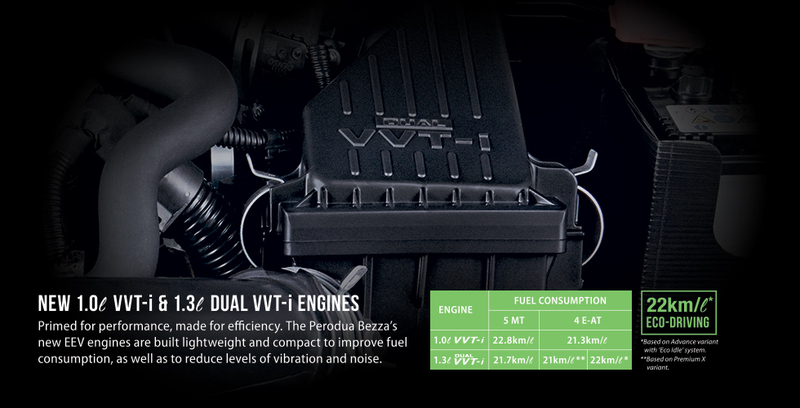 Perodua may offer the next-gen Perodua Myvi with the Perodua Bezza's 1.0-litre VVT-i and 1.3-litre Dual VVT-i engines. Keyless entry with push-start button, 60:40 split rear seats, touchscreen infotainment system with navigation, reverse camera, parking sensors, dual-front airbags, ABS with EBD and BA, VSC, TRC and HSA are some of the key features expected in the 2017 Perodua Myvi. Series production of the all-new Myvi will commence in October, so expect the car's market launch to happen towards the year-end.